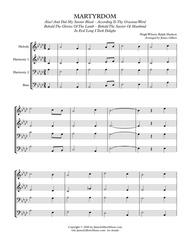 Composed by Hugh Wilson, Ralph Hudson. Arranged by James Gilbert. Christian, Contemporary Christian, Gospel, Sacred, General Instructional. Score, Set of Parts. 24 pages. Published by James Gilbert Music (S0.38617). 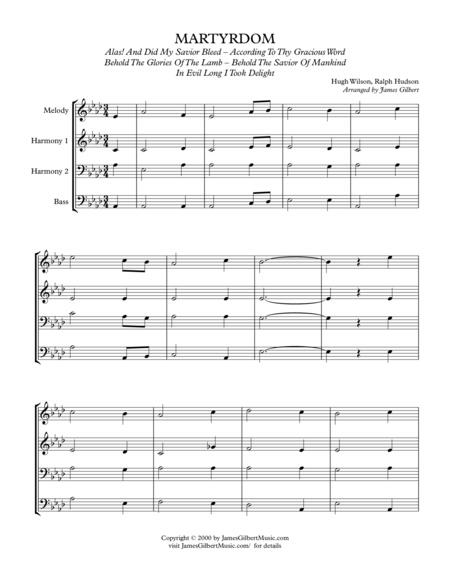 An instrumental hymn accompaniment of the hymn tune MARTYRDOM (Alas And Did My Savior Bleed; At The Cross; According To Thy Gracious Word; In Evil Long I Took Delight; Behold The Savior Of Mankind). This is designed to be played by any combination of instruments along with keyboard. Parts provided for C, Bb, Eb, F, Alto Clef and Keyboard instruments.